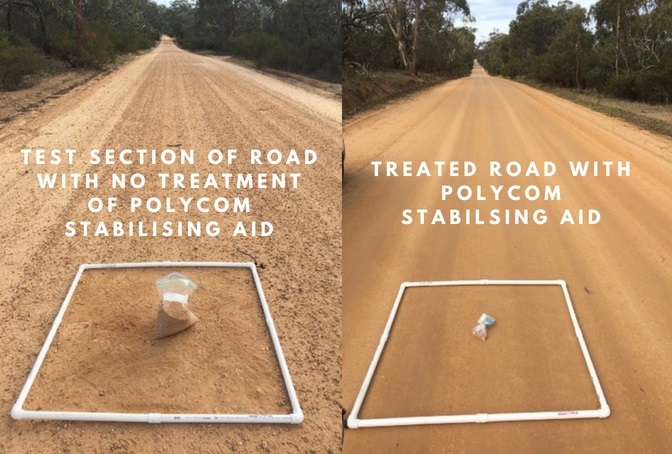 Ararat Rural City Council recently did test treatments on Moyston-West and Moyston-Dunkeld Roads with a stabilisation product. This product is added to the gravel surface while grading to stabilise the pavement. This helps to keep the road’s shape and resist corrugation for a longer period, resulting in greater service life and a reduction in the need for grading. These sections of road will be monitored over the next 12 months to determine the effectiveness of this product.